We would like to introduce Dynamic Seals as a Manufacturer, Importer and Distributor of all type of Security Seals in Pakistan. Dynamic Seals is led by a team of professionals having an experience of more then 10 years in the field of Security Seals. Our ambition is to provide quality seals to our valued customers as per their requirement and set quality standards with price compatibility. Malaysia Sdn. Bhd, one of the largest security seals manufacturers in the world has appointed Dynamic Seals as their Authorized Sole Agent for Pakistan and Afghanistan. products are widely acknowledged as innovative in design with excellent security features. Today, Mega Fortris is a global supplier of high quality security seals to the wide range of industries around the world. continuous growth is due to the focus of innovation and commitment to development in design. Driven by these core values, Mega Fortris had created a range of high quality security seals; for conventional mechanical seals and RFID – enabled electronic seals – all purpose - built to meet the most discerning of customer requirements. offers a full range of quality security products at very compatible prices – a winning combination that has enabled Mega Fortris to be the preferred supplier for many leading companies around the world. We believe that our continuous committed support, reliability and integrity are the main reasons for Mega’s competitive advantage. The Malaysian Based headquarters house a purpose – built manufacturing plant, which is certified with ISO 9001 and 14001 Quality Management Systems. 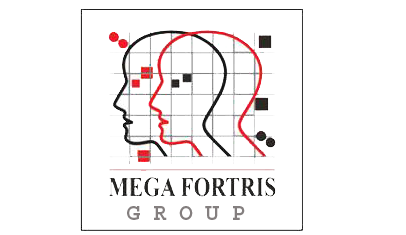 Mega Fortris’s regional production plants are located in North America, The United Kingdom, Hungry, Thailand and China and operation in 19 countries allows them to be close to their warehouses. is associated with industry leaders in the transport sector on land, sea, rail and air. The effectiveness and versatility of our products and services had enabled Mega to secure customers in industries like chemicals, oil & gas, food & beverages, pharmaceuticals, communications, ICT, hospitality, security companies, banks and manufacturing industries.